Zinedine Zidane is not thinking about changing his approach ahead of the second leg of the Champions League semi-finals against Atletico Madrid next Wednesday, but he will place his faith in his ‘B team’ which includes striker Alvaro Morata. On Saturday, with the recently relegated Granada as their opposition, those who haven’t featured as much will be put in to fight for three vital points in the battle for LaLiga. After missing the match against Eibar due to an accumulation of bookings, Morata featured against Leganes, Sporting and Deportivo and he will be the point of the attack again for Los Blancos at the Estadio Nuevo Los Carmenes. Despite featuring mainly from the bench this season, he has 17 goals to his name; 12 in LaLiga, three in the Champions League and two in the Copa del Rey, raising his profile while being the understudy to Karim Benzema. But while the Frenchman has racked up 2892 minutes across the campaign as part of the starting XI, Morata has only reached 1701, and the reality is that he hasn’t featured in any of the biggest games in the club’s fixture list. In the three matches in the Champions League against Bayern Munich and Atletico Madrid, he didn’t even take to the field. Offensive players such as Lucas Vazquez or Marco Asensio have filled in up top when Gareth Bale or Benzema have been brought off for varying reasons. 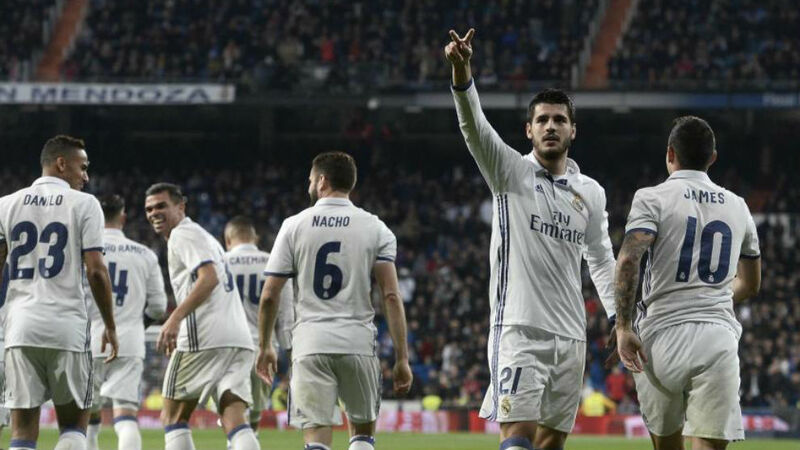 However, on Saturday, it’s time for Morata to step up and lead the line.